One per row please - press the + icon to add additional rows. Please select the primary way(s) you would like to collaborate with Comm Lead (may select more than one) and complete the questions (appearing below) associated with each section. Our community is interested in full-time and part-time positions, paid internships, and project-based work. Because we are a professional degree, the skill levels of our students and alumni vary, so positions at all levels are welcome. 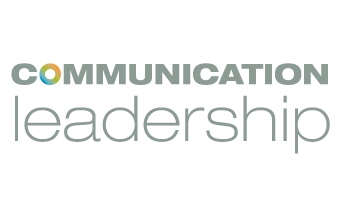 If you are looking to hire a communications professional, please complete the form below and we will include it in our weekly jobs digest sent to 600+ of our students and alumni every Monday. What is the position title? Compensation (please share for internships, part-time positions, and project-based work). Interested in getting to know our community? We invite you to host a "First Friday" — a monthly networking event for our students and alumni to learn about Seattle-area businesses and build relationships with potential employers. Partner organizations host us in their space, showcase their current work, and promote opportunities within their organization. The hosts provide refreshments (beer, wine, non alcoholic, snacks) as well. First Fridays typically draw 40-60 graduate students or alumni and take place from 6-8pm on the first Friday of the month during October-May. Please address the following questions as they relate to hosting a First Friday. First Fridays are held October through May. Do you have a preferred month when you’d like to host? Please list the names and titles of your team members who will participate. Please list any job or internship openings you currently have. Many of our classes require students to work in teams on a defined communication need. When possible, we partner with an organization whose needs align with the class teachings. The project spans the length of the academic quarter (three months) and the specific deliverable varies depending on the class. Examples include content strategy proposals (recommendations for website improvements), audience or customer engagement strategies, and crafting an organizational narrative. Client fees begin at $1500 and nonprofit rates are available. Please address the following questions. Please explain a communication challenge or need that your organization currently faces. Examples of communication needs include: developing new messages, reaching new audiences, educating constituents or the public on a particular issue r campaign, defining and telling you organization’s story. Based on the challenge or need described above, what kind of deliverable would best help you achieve this? What specific goals do you hope to achieve through this engagement? 1. After you complete the form below, Comm Lead faculty and staff will meet with a representative of your organization to discuss your communication needs and identify a defined deliverable that can (usually) be accomplished in one academic quarter (about 3 months). 2. Our team then recruits top students to execute these projects. These students act as independent consultants for the organization and Comm Lead faculty and staff provide advising as needed. Students are rewarded with a scholarship to help with their tuition in exchange for participating in this program. While we are focusing on housing security, affordability and homelessness in the greater Seattle-area 2018-2019 school year, we are still open to collaborations with nonprofits focused on other important causes. Who is the primary audience that you serve? Have a collaboration idea not listed above? Tell us more!